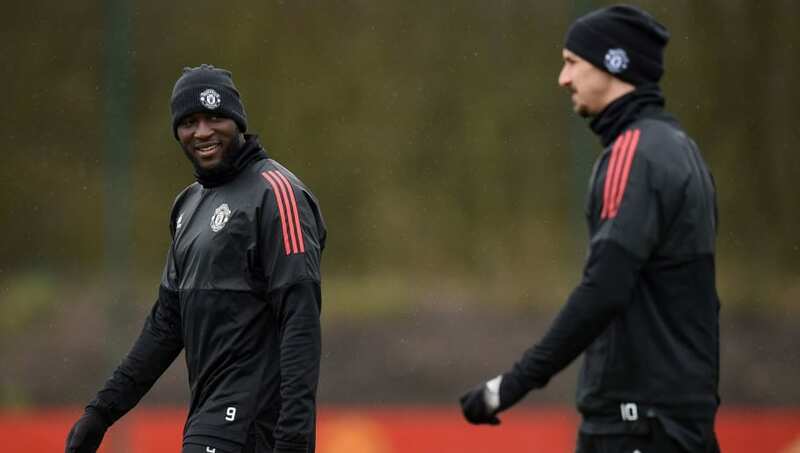 ​Manchester United striker Romelu Lukaku has revealed how a training ground challenge with Zlatan Ibrahimovic helped change his mentality at Manchester United. The Belgian international, who shared the same agent as Ibrahimovic during their time together at United, joined from Everton for £75m in 2017 as the Swede's long-term replacement. During that time, the Swedish legend had imposed himself on the ​Premier League, following his move from Paris Saint-Germain, but a serious knee injury meant he and ​Lukaku spent little time together on the pitch. But, even in such a short window, Sweden's all-time top scorer still left a lasting impression on Lukaku and the Belgian has opened up about the valuable lessons he learned from his former teammate during the early stages of his ​United career. "Everything I learned from Zlatan was great, from his stories that he told me when he was at ​Inter, ​AC Milan, ​Barcelona and even Ajax, to being on the field working with him, seeing how competitive he was," he explained, speaking to ​United's official website. "I remember one training session, because we were both strikers, we were never on the same team and, at one point, there was a 50/50 challenge. He went full-on against me! "That is when I knew this guy wants to compete and this guy wants to fight for his spot. That is why he changed me. It was an eye-opener. The guy had to fight to be in the position he is in. So, I learned just to focus, work hard and enjoy it as well. Because he is a guy who you can have a lot fun with as well and having his personality in the dressing room was good." Before being sidelined with a recent foot injury, Lukaku had enjoyed a good spell in the first team and has silenced his critics with an impressive goal scoring record under Ole Gunnar Solskjaer. If he can continue to channel Ibrahimovic's expert tuition and replicate it on the pitch, the current number nine could go a long way towards repaying that huge price tag and creating his own legacy.